The development process for the new national alcohol and drugs strategy was not always straightforward. 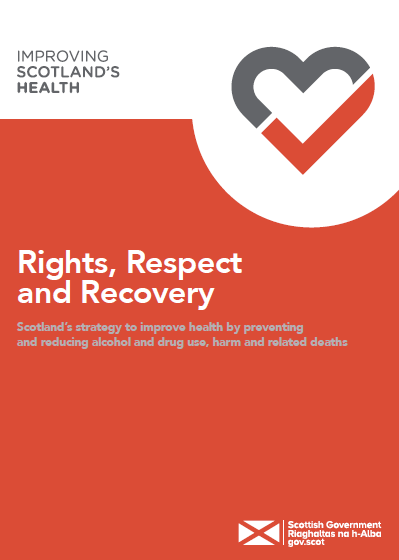 However when Joe Fitzpatrick, the Scottish Government Minister for Public Health and Sport, launched ‘Rights, Respect, Recovery’ on 28 November 2018, we publicly welcomed this as introducing “transformational rights” for families. The strategy’s vision of a right to health and the right to a life free from the harms of alcohol and drugs are applied equally to people using alcohol and drugs and to their family members for the first time. Families now have the right to support in their own right and the right to be involved in their loved one’s treatment and support as appropriate. 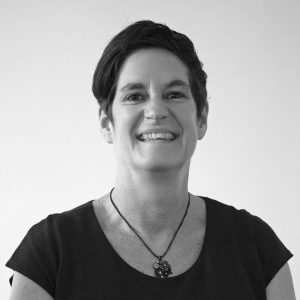 ‘Rights, Respect and Recovery’ echoes our broad definition of ‘family’, recognising that families come in many shapes and sizes, but that they can play a vital role in treatment and recovery, even where relationships are fragile or damaged. Families are acknowledged as assets and named as Key Partners in the Strategy, and are to be involved in the planning, development and delivery of services locally, regionally and nationally. And new, emerging and existing family support groups – a key part of Scotland’s growing family recovery community – are to receive ongoing support through the Scottish Government’s Family Recovery Initiative Fund, supported by the Corra Foundation and Scottish Families. The transformational aspect of Rights, Respect, Recovery for families is rooted in its rights-based framework, and the equal access to these rights across people using substances and their family members. We know that the Strategy’s vision is far from today’s reality for thousands of families across Scotland, and has come too late for the thousands of families who have lost a loved one to alcohol or drugs. We are going to focus all of our efforts on making sure these rights are meaningful for families, and that they look and feel real at community level. This includes working with families to ensure they are aware of these new rights and can claim them for themselves, and working with services to raise their awareness and standards of family-inclusive practice. Although we are taking a ‘family focus’ here, there are other positives in the new strategy. 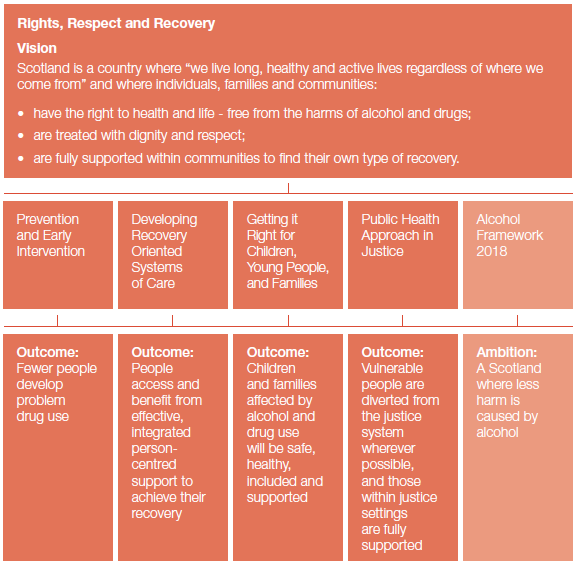 For the first time, a single strategy spans both alcohol and drugs (and is also supported by the complementary ‘Alcohol Framework: Preventing Harm’ launched a week earlier); all paths to recovery are supported including harm reduction and abstinence-based approaches; and there is a commitment to be evidence-led and trauma-informed. The Strategy is not perfect. For example although this is an integrated alcohol and drugs strategy, there is a more limited focus on alcohol treatment, care and recovery and a stronger focus on drugs. The role of some key partners is overlooked (e.g. the lack of focus on community pharmacies has been highlighted by others). And we await the detailed action plans which will sit below these strategic commitments, including the all-important accountabilities, timescales and resources. However overall the publication of Rights, Respect, Recovery marks a new phase for all families affected by alcohol and drugs. We are so grateful to all those family members who fed into the strategy development process – some through us and some directly – and who helped create this new rights-based framework for Scotland. And to the Scottish Government for listening – and responding. There’s only one thing to say now – Let’s get started!